Gartner has analyzed 30 locations of outsourcing services and rated each location on 10 criteria. Our assessment of Brazil shows a developing IT services industry, largely the result of private global and local entrepreneurs and modest government support. This report analyzes Brazil’s suitability for offshore outsourcing, based on 10 criteria: language, government support, labor pool, infrastructure, educational system, cost, political and economic environment, cultural compatibility, global and legal maturity, and data and intellectual property security and privacy. Sourcing managers can use this report to judge whether Brazil might be a good location for their organizations’ captive or outsourced offshore IT and business process services. Brazil is one of the most sought-after destinations, with a large population and an economy that is diverse and one of the largest in Latin America. Brazil’s key weaknesses are typical of the challenges facing developing countries: education, official bureaucracy, and government problems and inefficiencies. Consider Brazil as a viable outsourcing choice for a wide range of services. Total risk-adjusted costs for specific services are comparable with those in many other destinations. Monitor effective control and transparency, as providers may resort to informality rather than compliance with complex and bureaucratic legal requirements. Table 1 provides a summary of Gartner’s rating of Brazil, based on our 10 criteria. 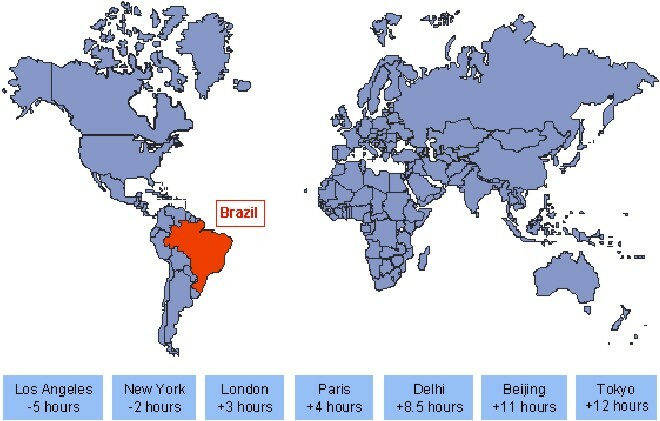 Figure 1 shows Brazil’s location and time-zone difference compared with selected cities. English is the first foreign language and is taught in all schools. French and Spanish are also widely taught. The strong presence of foreign colonies means Japanese, Italian and German language capabilities are also available. Analysis: English is the first foreign language, and most college-educated Brazilians can understand written English, but the majority of them are not comfortable conversing in English. The government has enacted many laws and created programs to help technological innovation and development, including a wide array of incentives. Brasscom, the Brazilian Association of Software and Service Export Companies, is a nongovernment organization that promotes software development. It also fosters improvements in human resources through education, cultural activities and technical and marketing training. Two major Brazilian IT industry organizations, the Brazilian Association of Software Companies (ABES) and the Association of Brazilian IT, Software and Internet Companies (Assespro) promote the Brazilian software services sector and, together with Brasscom, lobby the government for policies that favor the IT sector. Softex/Apex-Brasil, a government export promotion agency, aims to stimulate growth in the IT service industry. The agency, which traditionally coordinates the participation of Brazilian companies in trade shows abroad, is starting to develop additional activities. Outdated labor laws and a slow-moving official bureaucracy reduce the agility and flexibility of businesses. Analysis: Brazil has implemented effective (though not especially aggressive) policies to stimulate the development of the IT industry and, particularly, the IT services industry. The government also encourages technological development by providing various incentives, and some additional progress in government support can be expected in the medium term. Outdated labor laws are still a sizable hurdle; although they are under debate, they are not expected to change significantly in the short term. Brazil has more than 200,000 IT professionals. Every year, approximately 23,000 new IT graduates enter the industry. In addition, graduates from other areas, especially business, are hired and trained internally to become IT professionals. The average Brazilian IT programmer’s annual salary is US$20,000 to more than US$40,000. A heavy social tax burden that may reach 80% to 100% is applied to salaries. Commonly, programmers will be contracted as “individual service provider companies,” in which case “revenue” will be 40% to 50% higher than the salary (with no social taxes). However, such measures to circumvent labor laws are being increasingly challenged in the courts. Software exports are growing, and the government estimates exports will reach US$500 million in 2007. More than 60% of software companies are located in five major cities. São Paulo, Belo Horizonte, Rio de Janeiro, Porto Alegre and Recife. However, the scarcity of resources is already beginning to be an issue, and companies are rapidly reaching out to other cities, gravitating toward major formation centers in universities (Campinas, São Carlos and Florianopolis, among others). Nevertheless, churn is still low (below 5%, on average). Professionals in the software sector have at least secondary education, are generally highly qualified in IT and show high productivity levels. Characteristics of flexibility, creativity and client empathy make Brazilian resources attractive in the IT services market. In addition, most workers develop their skills in business and are knowledgeable about business practices. These qualities, in particular, are used by local service providers to create differentiation. Analysis: Brazil shows a good availability of labor resources at reasonable costs, even under the current labor laws. Most, if not all, leading multinational technology companies have an effective presence in Brazil. Many of them have made Brazil their hub for Latin America. They provide goods and services to a dynamic local economy, thus creating a critical mass of IT-skilled workers and ensuring continuity even in the advent of major global fluctuations in the IT services market. Brazil is South America’s largest telecommunications market. It has more than 50 million installed fixed lines, over 40 million fixed subscribers and over 100 million mobile subscribers, in a population of 185 million. It is the largest Internet market in South America, but Internet user penetration is only 17.4%. The number of Internet users is forecast to grow at a compound annual rate of 12.1%, to reach 21.6 million connections by the end of 2010. This is partly thanks to government efforts to enhance accessibility and make it affordable through differentiated phone tariffs. In 2005, broadband connections grew by 60.2% to 3.7 million. Broadband connections are expected to grow at a compound annual rate of 35% during the next five years. High-quality fiber optics networks connect all major cities and with hubs abroad. Brazil has about 1.5 million kilometers of highways, but only 30% of the road network is in adequate condition. A program to improve highways is a government priority for 2008. Brazil has an installed capacity of 88.7 GW. Electricity demand is growing at a rate of 4.5% a year, and is expected to reach 100 GW by 2008. The government plans to invest approximately US$3.7 billion a year to meet growing demand for energy. Analysis: Brazil’s infrastructure is capable of providing the expected double-digit growth of the country’s IT services industry with high levels of support. The literacy rate for people 15 years and older is 88.6%. For those aged 15 to 24, it is 96.8%. Eight years of education are mandatory. Approximately 10% of the population aged between 18 and 24 years study at college level. Higher education enrollments have more than doubled in the past 10 years to about 4 million each year. This is still small when compared with international levels, and even when compared with some other countries in Latin America. About 10% of the total educated labor force have completed higher education, and about 30% completed secondary education. The government spends 4.1% of GDP on education, or 10.9% of all government expenditure. Analysis: Brazil has shortcomings in education. Inadequate government educational efforts are complemented by the private sector (IT user companies and service providers), which runs extensive internal IT training programs. Brazil has the lowest salary rates among nearshore providers in the Americas. The average annual salary is US$16,000 for IT outsourcing workers (US$10,000 for entry level) and US$13,000 for business process outsourcing (BPO) employees (US$7,500 for entry level). São Paulo has the most-expensive A-class office space in Latin America. The city is ranked 18th in the world in this respect in 2006. Rental rates increased by 13% compared with 2005, and the annual average for top-quality office space amounted to US$750 per square meter. Analysis: In a risk-adjusted total cost comparison, Brazil is relatively less expensive in terms of labor costs than Costa Rica and Mexico. Relatively low wages, coupled with productivity and other positive characteristics, highlight Brazil’s cost-effectiveness as a nearshore location. Brazil has one of best telecom infrastructures in Latin America, but costs are higher than countries like Chile. Brazil is like a proverbial “melting pot” with regard to immigrants and, despite class distinctions, national identity is strong, and racial friction is virtually unknown to Brazilian culture. Brazil is ranked 70th out of 163 countries in terms of corruption according to Transparency International. Many Brazilian politicians face charges of corruption. Urban growth has been rapid. By 2005, 81% of the total population was living in urban areas. This growth has aided economic development but also has created serious social, security and environmental problems for major cities –although not unlike other major cities in developing countries. President Lula has taken a prudent path, moving slowly with social reforms and issuing tight fiscal austerity policies. His economic stance is expected to remain consistent through 2010. The Brazilian economy has become highly mature since economic stability and low inflation rates were achieved in 1992. As a result, the dynamics of the economic environment are not affected by political changes, unlike in some other emerging countries. Analysis: Brazil witnessed strong economic growth in 2004, it slowed in 2005 and rebounded modestly in 2006 and 2007. The economy has been stable and inflation rates have been low for 15 years. There are huge challenges, but the long-term outlook is good. Originally a Portuguese colony, the country has been the destination of several waves of immigration from different areas, most notably Italy, Germany, Japan, the Middle East and other Latin America countries. Since World War II, Brazil has been strongly under the economic, as well as cultural, influence of the U.S. In Brazil, 88% of households own a TV, 88% have a radio, 20% have a computer and 17% access the Internet. Brazil has 532 newspapers with a total circulation of 6.5 million. Analysis: Brazil is well-connected to the world. Immigration has resulted in cultural diversity. The culture in general and business practices in particular are influenced by the U.S.
World Audit places Brazil 51st (out of 150 countries) in terms of democracy and 52nd for press freedom. The legal and procedural system is complex and overburdened. State courts can be subject to political influence. In the past, central government has exercised considerable control over private business through extensive regulation changes. Those practices have been significantly reduced during the past 15 years. Brazil has reduced trade barriers significantly. In 2005, its average normal trade relations tariff was 10.7%, versus 32% in 1990. Brazil is a signatory to the General Agreement on Tariffs and Trade accords, the Trade]Related Aspects of Intellectual Property Rights (TRIPS) agreement, the Berne Convention on artistic property, the Washington Patent Cooperation Treaty and the Paris Convention for the Protection of Industrial Property. Analysis: Total foreign direct investment in 2006 was US$22.7 billion, compared with US$10 billion in India. The majority of investment came from the U.S., followed by Spain, the Netherlands, France, Germany and Portugal. The Brazilian currency has steadily appreciated against foreign currencies. International risk ratings are the lowest in history, and trust from international business and investors is high. Brazil encourages foreign investment and is a major investment destination. The pace of changes to economic regulation has sharply decreased, and the continuity of commercial contracts is respected. In most respects, Brazil’s 1996 industrial property law brings its patent and trademark regime up to the international standards specified in the TRIPS agreement, although the fraudulent use of internationally famous brands remains a problem. Brazil’s copyright law generally conforms to world-class standards, and the country is member of the World Intellectual Property Organization. Its software copyright protection law contains provisions that introduce a rental right and an increase in the term of protection to 50 years. The Brazilian Congress passed a law in 2003 that increased penalties for copyright violations and established procedures for making arrests and destroying confiscated products. In 2004, the government created a high-level council to combat piracy and intellectual property crimes. Software piracy has been an endemic problem that is slowly improving, thanks primarily to the work of ABES. Piracy in the business environment is largely limited to small enterprises. A very sophisticated financial industry, integrated through a countrywide real-time network that connects the branches and facilities of all players, commands a very high level of security and IP protection in IT services. Analysis: Brazil has several laws and legal protections on privacy, but enforcement is not stringent. While some higher levels of security expertise are practiced in major cities and a growing information security industry exists, there remains considerable work to be done in the areas of intellectual property protection, the enforcement of antipiracy laws and the biggest issue: physical security, a prominent issue in service facilities. Failure to effectively address these issues and enforce laws threatens Brazil’s attractiveness as a global services destination. In reading this report, looks to me that it was written a year ago. Is there any update on this report? Can you make it available to me? You are correct. The Gartner report was written in 2007. They a 2008 report in the oven, but it has not been released yet. As soon as it is you will see it here too.